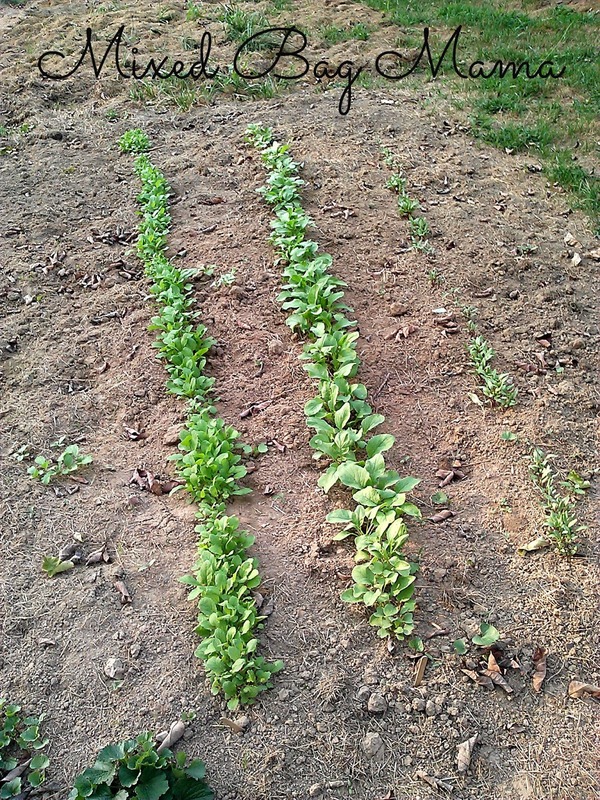 Mixed Bag Mama: Gardening Spotlight: Edible Radish Greens? Yes! Believe it or not, not just the root is edible, but the leafy top part as well. 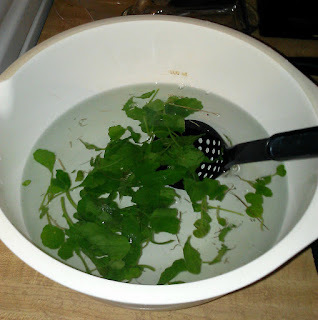 Here's how we discovered this and a little more about how you can eat radish greens and what they taste like. 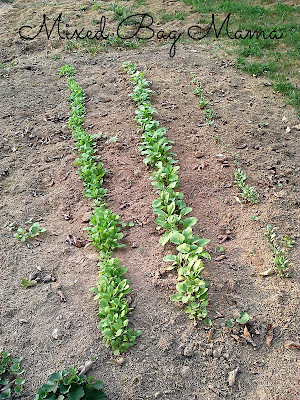 This was what our little radishes looked like before we thinned them out. They took off so well and we had to pull so many up, it seemed wasteful to just toss all of them. John originally was getting radish greens mixed up with turnip greens since he already knew those were edible. 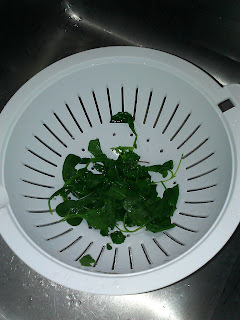 But, after further investigation, it turns out radish greens are too! To be completely straight forward, I have not actually tried eating any yet. From what John read online, they are supposed to taste similar to spinach, which I love. In fact, that's pretty much the only way I'll eat salad. However, they are also supposed to have a peppery taste to them, which I do NOT love. 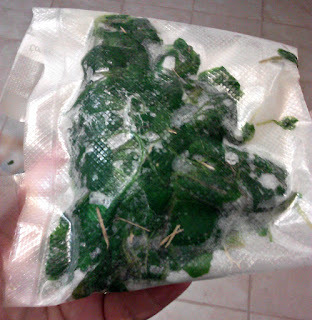 So, I decided to forgo eating them in a salad and took John's suggestion of blanching and freezing them. Not familiar with blanching? It's super easy! Bring a pot of water to a slow boil. 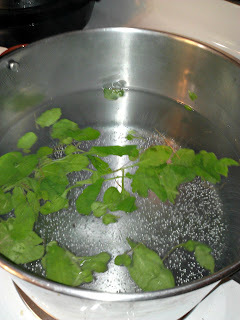 Toss whatever you're blanching (you can find out more about blanching HERE) in for 30-60 seconds. Transfer what you're blanching to a bowl of ice cold water. Only let it sit for the same amount of time you blanched it for. I set our finished radish greens in a strainer to help drain some of the excess water while I finished the rest. Drain/squeeze as much excess water as you can before freezing. If you don't have a vacuum sealer or anything like that, you can always just use freezer baggies or even can your fruits or veggies as well. What about you: Do you can or freeze any fruits or veggies in the fall? What's your favorite method for preserving?